Single worry doll with drawstring fabric bag and a copy of the worry doll story. 1 supplied, colours will vary. 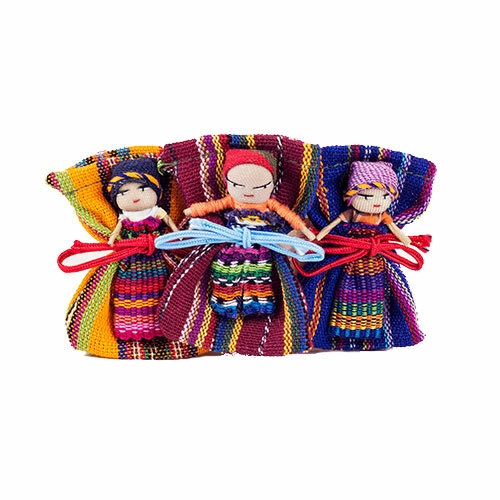 The story goes that if you put a worry doll under your pillow at night, it will take all of your worries away! This is not a toy. Not suitable for children under 3 years.